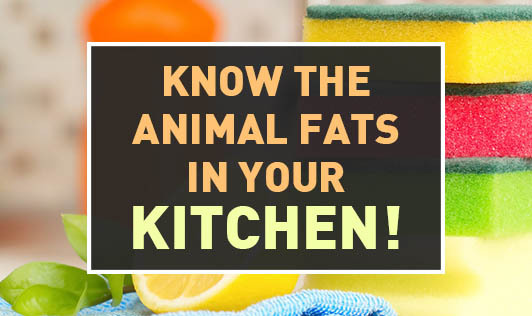 Know the Animal Fats in your Kitchen! This article is a short piece of information about what animal fats are. Ghee and Butter are commonly used types of fats in our households. Some of us use it because we like those flavours; some of us use it just because our grandma makes it compulsory! Do you realize that these come from animal sources? Oh yes, even if you are a pure vegetarian so to say, there are certain foods which come from "non vegetarian" sources! Other fats which come from animal sources are egg yolk, the fat mass present in the meat you eat (chicken, mutton, pork, beef, sea foods, etc), lard and cod liver oil. If you are overweight/obese, have high lipid values, have a history of cardiac ailments, have high BP, or you have a family history of any of these diseases - watch out! Animal fats are your potential enemies if you over eat them. They are not bad guys, but they contain cholesterol (since they are animal fats); and eating too much of these fats can harm you in certain ways. Consult a Dietitian to know how much is too much!